Once again Jay Z is doing something that makes me proud to be a fan/supporter of his career. The mogul announced a few weeks ago that he will be performing a couple of shows at the infamous Carnegie Hall. This is brand new territory for the Hip Hop community. Jay, once again is leading the way in expanding the reach of the culture. This news comes as Jay is having an amazing year both personally with the announcement that he and Mrs. Carter (Beyonce) are expecting their first child, and the incredible success of his collaboration with Kanye- Watch The Throne. That album allowed Jay to break yet another record by being the person with the most top 100 songs on Billboard. All of these accolades and accomplishments surely make him proud, but one may be amazed at what gets under his skin. Most fans know that at times, Jay is just as engaged in politics, business, and the world around him as he is in simply releasing hit records. Rarely do you hear much about the part of him that is most noteworthy. I can recall an interview with Beyonce (his wife) as she bragged about how much he gives to people and his old neighborhood. I remember Oprah being impressed by his philanthropist attitude, and I personally as a fan have followed his charitable efforts. Jay is known to give money in relief efforts and global initiatives, but its the efforts he puts forward under the radar, in our inner city communities that I think are the most incredible. He recently spoke with MTV about the one thing that really bothers him. It has nothing to do with the Jay Z most people see, but it comes from the part of him most people choose to ignore. Out of all of the things he's seen and encountered, Jay adamantly admits that the struggles facing our inner city youth and their plight for a decent education really gets under his skin. That really bothers me, someone who really applies themselves and wants to go and they can't further their education because of their situation, because of money or because they have to stay in the house to watch their siblings.Something about that really bothers me. Being from the hood, Jay knows the reality of the struggles some kids face everyday just to survive. Amongst other things he and his mom Gloria Carter have, The Shawn Carter Foundation which aims to support and encourage these very kids in their advancement in life. 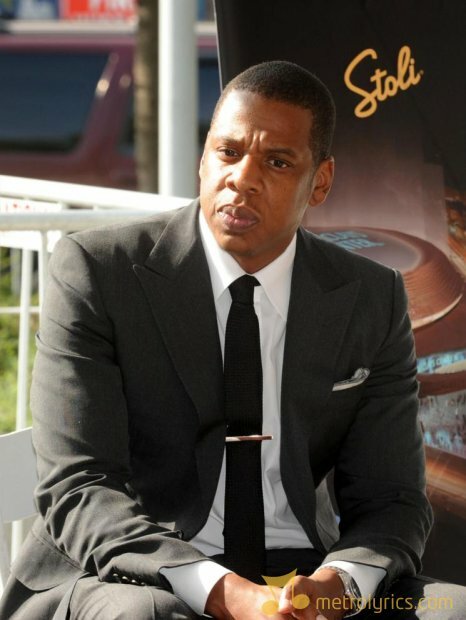 According to Jay Z, it is time to take the organization to the next level. He's hoping to continue doing so by donating the funds from his Carnegie Hall shows! For all these years, the Shawn Carter Foundation has been really grassroots. My mom has been getting on the bus herself and taking kids to orientation and doing this work by herself. Now ... we're building this thing out. Jay told MTV. To put this all into perspective their grassroots efforts have helped more than 750 students continue their education and life advancements. They have awarded those kids in excess of 1.3 Million in scholarships! Amazing! Im always so impressed by things like this because its so easy to make a lot of money and just chill. Jay has continued to keep his heart with the people facing the things he had to face coming up. I think this is commendable and shows some of us what really is important. These issues should bother us all! We cant all put on a show at Carnegie Hall charging upwards of $500 - $2500 per ticket, but you can do something in your own community. Even if its tutoring or mentoring just one child. Now for the fans who want to be at the show, dont get too discouraged..a few reasonably priced tickets will go on sale to the public on January 30th. Thats going to be a historic occasion for a great cause! Hats & bows off to Jay once again for his efforts to use his wealth and celebrity to benefit others! Hopefully this is an issue that bothers everybody, maybe one day it wont have to be, but as for now Im glad to know people like Jay are doing something about it.